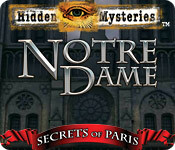 Hidden Mysteries: Notre Dame - Secrets of Paris is rated 3.4 out of 5 by 33. Rated 5 out of 5 by crisgori from Wonderful Many years have passed since this game was published but in my opinion it really rocks. I know that there are people who like just playing "go forward" games but I know many others would like to use the brain when they play. Why can't we choose between the two types of games? Why Devs actually just create one shot scenes games? In this games there are tons of HOS, a few puzzles and a lot of backtracking. But I mean really a lot. And I love it. Why do I have to search among games from 2012 to play some very good games? The only down factor is the lack of hints except HOS and just one game mode. Well, who cares? Rated 5 out of 5 by skoolbus1976 from MAGNIFICIENT I thoroughly enjoyed this game. It was fun to play, and I loved the history part of this game. I'm a lover of history and I thought that this element wast a nice touch to the game. Well done. Rated 5 out of 5 by sapoe from good for me! I truly enjoy playing this game 'til end! It's fun for me. That's why I give five stars. Thanks dev! Rated 5 out of 5 by coha92 from Better than expected! 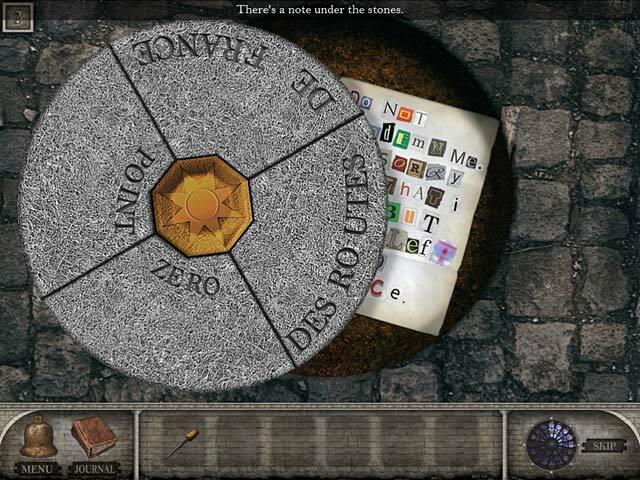 Some games from Hidden Mysteries series are somehow boring but this was beyond expectation. Graphics were nice, HO no cluttered easy to find. Games and puzzles got some challenge but nothing that you cannot solve without help. When I play a game I want challenge but I don't want to get stressed out because the objects are too small or I cannot solve the puzzles. This game was VERY RELAXING! 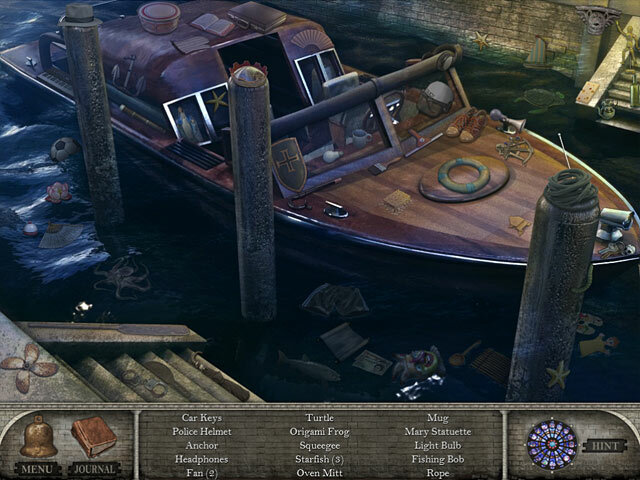 Rated 5 out of 5 by Firehorse66 from Great adventure game Game leads you smoothly through finding new items. Loved the fact that it wasn't one HO scene after another. A fun adventure game. Rated 5 out of 5 by moshermind from Really challenging I have to say this game was one of the best adventure ones I've purchased. I highly recommend it! Rated 5 out of 5 by DrDavid from A fun HOG. This game had HO scenes which were relatively easy and well drawn. The game turned out to be much better than I expected and was a joy to play. 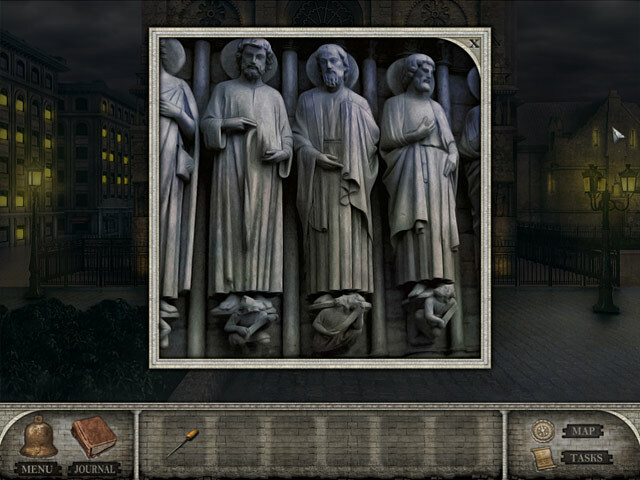 I was only briefly in France and never in Paris, so I have no idea whether the cathedral is authentic, but it still was a fun game and worth playing. Right at the end I got stumped and went through the walk-thru to discover where I missed a clue. That was when I found out that I seemed to have done everything out of order, but I finished. I dislike puzzles, but I think I worked all of the ones here. They were few, intellectual, and fun. Rated 5 out of 5 by skye1945 from I liked it!!! It really depends on what you want from a game as to whether you will like it too! The graphics are photographic quality - very clear and bright. There is a map which is useful. The music is unobtrusive. The dialogue is optional and of the read only type. The story is OK if you can go with spirits that take care and protect their environment due to a past connection. And if you like HOS they are there aplenty. The sites for the HOS are repeated but there are different things to find and I liked to see if and what I could remember. There is also an inventory component to the game and enough of a challenge there to keep the brain ticking. It is not a difficult game but I did not find it over easy either. I think it is at least worth a trial look before you buy. I did and I was not disappointed. The Crown of Thorns, the most precious and revered relic in the Notre Dame Cathedral, has disappeared! Track down the artifact!